Nu har rapporten kommit som du måste läsa om du vill förstå hur marknaden för råvaruhandel fungerar och firmorna som är aktiva på den. 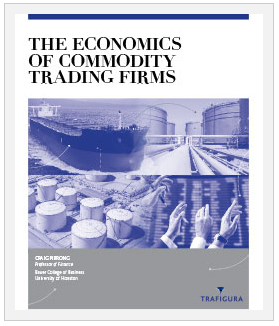 En white paper kallad The Economics of Commodity Trading Firms skriven av professor Craig Pirrong på uppdrag av råvaruhandelsfirman Trafigura. Handeln med råvaror som förändlas till den mat vi äter, den energi vi använder för transport, värme och ljus och de metaller som finns i alla de prylar vi dagligen använder är en av de äldsta ekonomiska aktiviteterna. Men trots detta så är råvaruhandeln missförstådd och som en konsekvens av detta uppstår ofta kontroverser. 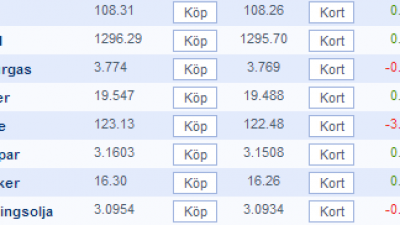 Rapporten finns att läsa och ladda hem gratis hos Trafigura. Rapporten inleds med en sammanfattning bestående av elva slutsatser. Commodity trading firms are all essentially in the business of transforming commodities in space (logistics), in time (storage), and in form (processing). Their basic function is to perform physical “arbitrages” which enhance value through these various transformations. Although all commodity traders engage in transformation activities, they are tremendously diverse. They vary in size, the commodities they trade and transform, the types of transformations they undertake, their financing, and their form of ownership. In engaging in these transformation activities, commodity traders face a wide array of risks, some of which can be managed by hedging, insurance, or diversification, but face others that must be borne by the firms’ owners. Crucially, most commodity trading firms do not speculate on movements in the levels of commodity prices. Instead, as a rule they hedge these “flat price” risks, and bear risks related to price differences and spreads—basis risks. Risk management is an integral part of the operations of commodity trading firms. Some major risks are transferred to the financial markets, through hedging in derivatives or the purchase of insurance. Other risks are mitigated by diversification across commodities traded, and across the kinds of transformations that firms undertake. Remaining risks are borne by equity holders, and controlled by policies, procedures, and managerial oversight. Commodity trading firms utilize a variety of means to fund their transformation activities. Different commodity traders use different funding strategies involving different mixes of types of debt and debt maturities, and these funding strategies are aligned with the types of transformations firms undertake, and the types of assets they use to undertake them. Short-term assets like inventories are funded with short-term debt, and long-term assets are funded with longer-term debt. Commodity trading firms provide various forms of financing and risk management services to their customers. Sometimes commodity marketing, financing, and risk management services are bundled in structured transactions with commodity trading firms’ customers. Offering these services to customers exploits trading firms’ expertise in merchandising and risk management, utilizes the information commodity trading firms have, and provides better incentives to customers. Some commodity trading firms are public companies, whereas some are private. 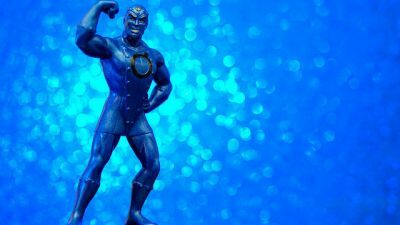 The private ownership model is well-adapted to traditional, “asset light” transformation activities, but as economic forces are leading to increasing investments in physical assets by all types of trading firms, the private ownership model is coming under pressure. Some major traders have already gone public; others are considering it; and still others are implementing hybrid strategies that allow them to retain some of the benefits of private ownership while tapping the public capital markets (sometimes including the equity markets) to fund some investments. Commodity trading firms exhibit considerable diversity in their investments in physical assets, with some firms being relatively asset intensive, and others being very asset light. These firms also exhibit diverse trends in asset intensity. Within both categories (asset heavy and asset light), some firms are becoming more asset intensive, and others less (or remaining relatively constant). What economists refer to as “transactions costs economics” provides considerable insight on what kinds of assets commodity traders own, and why these ownership and investment patterns have changed over time. Most notably, these transactions costs economics considerations imply that commodity traders have strong reasons to own “midstream” assets including storage facilities and terminals. Changes in commodity trading patterns in the last decade have created needs for increased investments in such midstream assets, and commodity trading firms have responded by building them. Although it has been suggested that commodity trading firms are potential sources of systemic risk, as are banks, and hence should be regulated in ways similar to banks, they are in fact unlikely to be a source of systemic risk. That is, commodity trading firms are not too big to fail. Not only are they substantially smaller than truly systemically risky financial institutions, they do not engage in the kinds of maturity transformations that make banks vulnerable to runs; nor are they highly leveraged; nor are they major sources of credit; and the assets of a firm that experiences financial distress can be transferred to others.